Even Ken Campbell, the PGA Golf Professional at the Machrihanish Golf Club, admitted that there was quite a strong “breeze” blowing this morning on the old course. “But we really only call in windy when the seagulls walk instead of fly,” he added with a wry smile. Although I didn’t see any gulls, I’m pretty sure they were hoofing it today. I won’t waste your time with a description of my performance on the venerable links, designed by Old Tom Morris in 1876. Let’s just say that my smartest move was to wear my new Sun Mountain rain pants that performed admirably as wind protectors. I could have severely injured fellow Warrior, James Mason, with one of my sideways shanks, but thanks to a worm-burning trajectory, I think I just bruised his heel. I need a lesson in wind management, or perhaps a lobotomy. Anyway, nicely fortified with a steaming bowl of Cullen Skink, a hearty chowder brimming with potatoes and smoked haddock at the Ugadale Hotel, we Road Warriors headed into Campbeltown, ten minutes down the road. Our destination was the tasting room of Springbank Distillery. 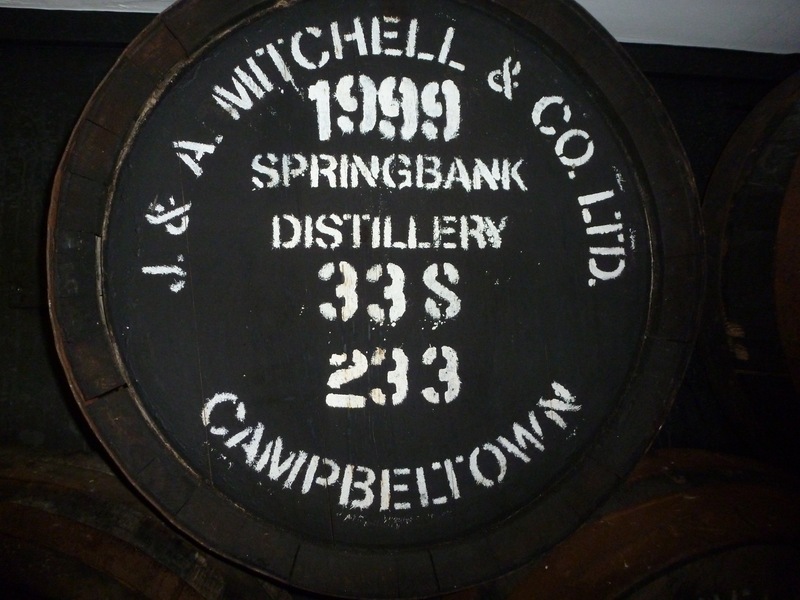 Founded in 1828, on the site of Archibald Mitchell’s illicit still, Springbank, the oldest independent family-owned Scottish distillery, is now in the proud hands of Hedley G. Wright, Mitchell’s great, great, great grandson. 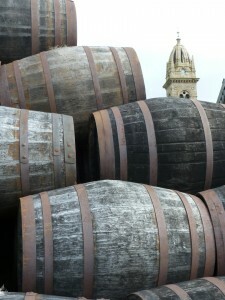 Springbank is also the only Scottish distillery to carry out all of its production processes—malting, aging and bottling—on its premises using traditional methods. 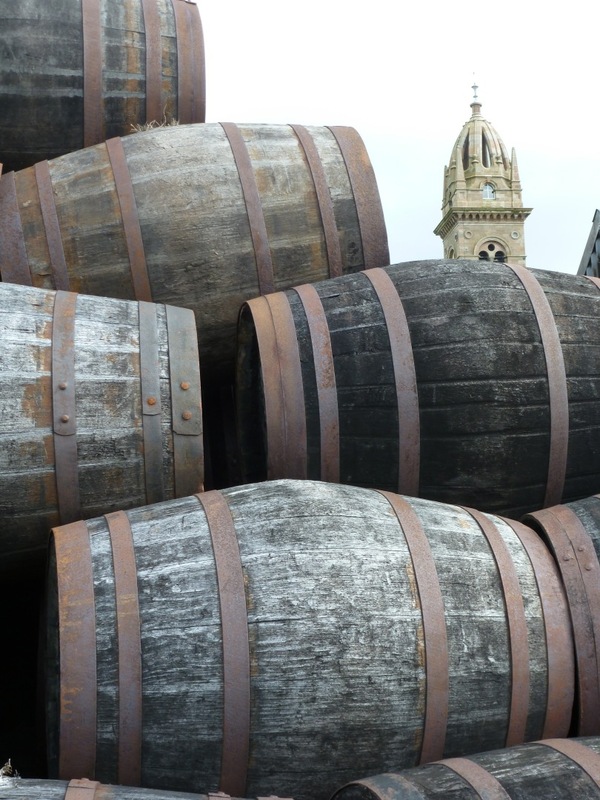 Once known as the whisky capital of the world, Campbeltown was home to 37 legal distilleries in the 19th century and who knows how many illicit ones. 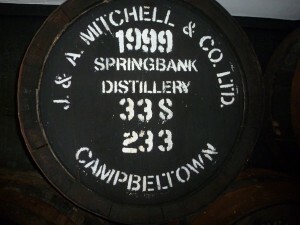 Only Springbank, its newer sister, Glengyle, and a small Glen Scotia distillery survived. 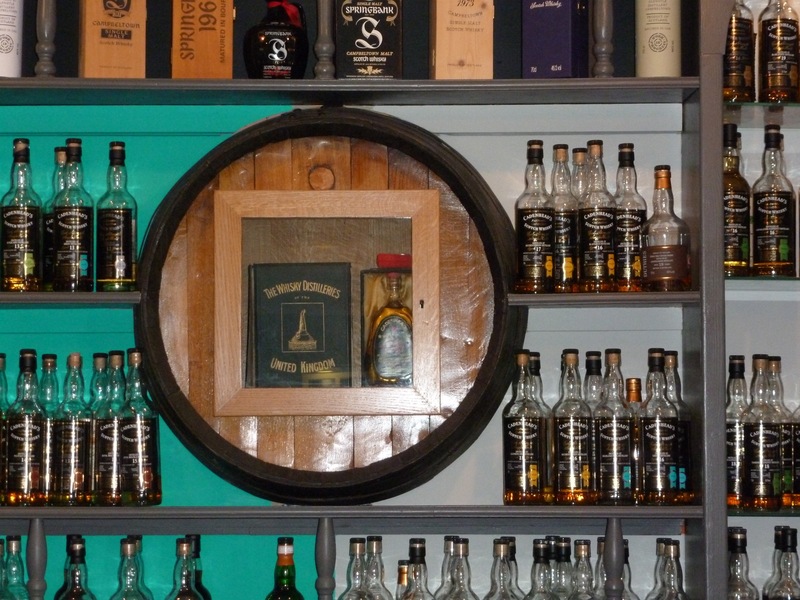 In Springbank’s cozy tasting room, we had an informal sampling of four very different whiskies: 12-year-old Hazelburn; six year-old Kilkerran; 15 year-old Springbank; 18 year-old Longrow. This little elbow-bending exercise proved that no two whiskies are alike, that everyone has different favourites and that dark chocolate and any whisky is a marriage made in heaven. I’ve only been in Scotland for a day but I ‘ve also discovered that a wee dram poured on porridge is a stellar way to kick start breakfast. I’ll probably take home a bottle of the Springbank 15-year old, because compared to the bottle of 1919 Springbank with the price tag of €50,000, it’s a bargain. The distillery also makes a blend, The Machrihanish Niblick, which makes a decent souvenir peace offering for my envious golf buddies back home.